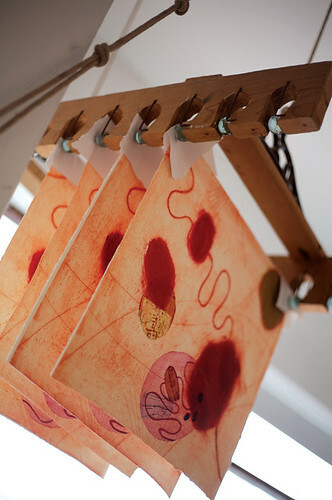 Leicester Print Workshop is the Midlands centre for fine art printmaking. We are home to a large open access studio in central Leicester that houses equipment for silkscreen, stone and plate lithography, etching, engraving, relief and letterpress. We offer pay-as-you-go independent access or fully assisted support to artists wanting to make original prints. We work with schools, community groups and arts partners to teach printmaking skills and we run evening and weekend courses for adult learners. Our exhibition space has a regularly changing programme of print related exhibitions which are free to view and we often host events and activities including artist talks, demonstrations and free or low cost drop in sessions. We are open 5 days a week, Tuesday to Saturday, if you want to visit our exhibition or find out more about printmaking, using the studio or booking on a course, please call in and see us. If you would like to receive our email newsletter, The Scoop, scroll down to Join Our Mailing List, at the bottom of the page. Leicester Print Workshop was first established in 1986 and became a registered charity in 1993. We are an Arts Council National Portfolio Organisation (NPO) and we are an active member and host of the Contemporary Visual Arts Network for the East Midlands (CVAN,EM) – a regional network dedicated and committed to contributing to flourishing visual arts habitat in the East Midlands as part of a broader, national initiative. See the drop down menu above to find out more about our people, our latest news and opportunities.